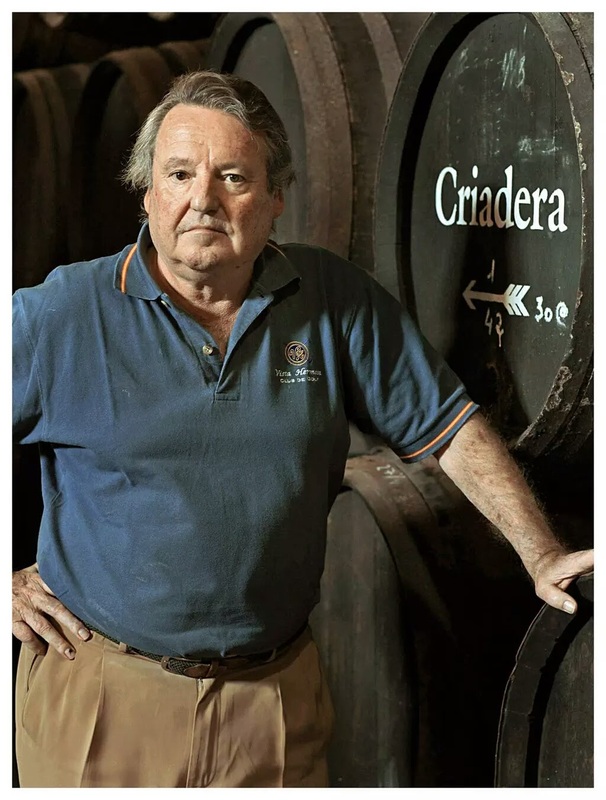 I woke up to a tweet this morning celebrating the 70th birthday of Juan Carlos, the winemaker at Gutiérrez Colosía for the past 55 years. Seeing his face reminded me of one of the best conversations I had this past spring. To think, my visit nearly didn’t happen. Having never been to this town, I was thankful for my phone’s GPS to take me right to the little door on the boulevard. I mentioned to the woman in the storefront that I was here for my 12:30 appointment with Carmen. She asked, “¿Cuál Carmen?” I couldn’t remember if my email correspondence was with Carmen the mother or Carmen the daughter. What I soon discovered was Carmen the daughter was not available, and Carmen the mother had two large tour groups she was entertaining. Rather than apologizing and sending me away, they graciously invited me in and had Bertrand lead me through the bodega. Gutiérrez Colosía is located right on the banks of the Guadalete River. I mention this because I learned their location is perfect for keeping a healthy veil of flor yeast year-round. The bodega is a lovely cathedral style, shadowed to keep out the light and heat. Because they are so close to the river and sea, they don’t need to keep soil on the floors to regulate the temperature. Carmen reminded me of my own mother; playing hostess, making sure everyone was taken care of and feeling at home, as well as not liking her picture taken. At her request, I promised not to post the one picture I convinced her to take with me. 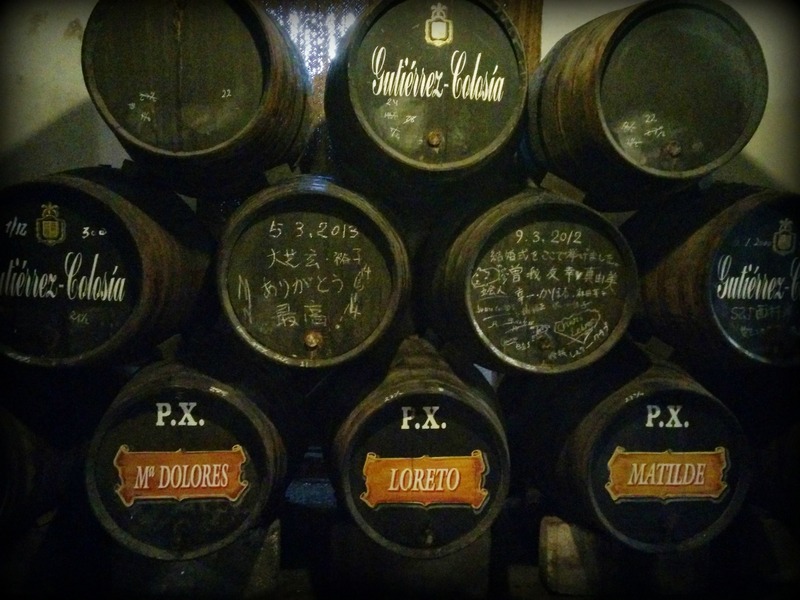 She poured the standard flight of their Fino, Amontillado, Oloroso, Cream, Moscatel and Pedro Ximénez, and treated me to a plate of cured meats and cheeses. I was left to sample them on my own. 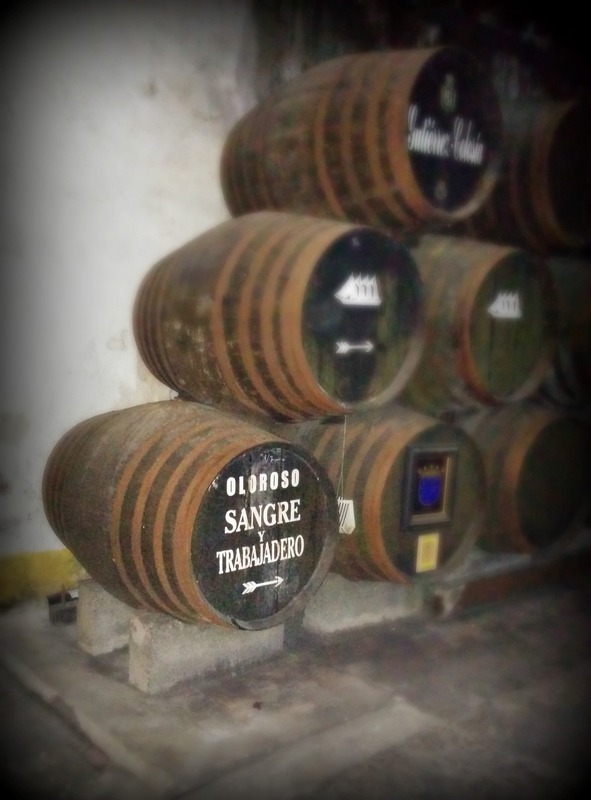 Sadly, the only tasting note I made was their Fino reminded me of Manzanilla for its salty nuances. 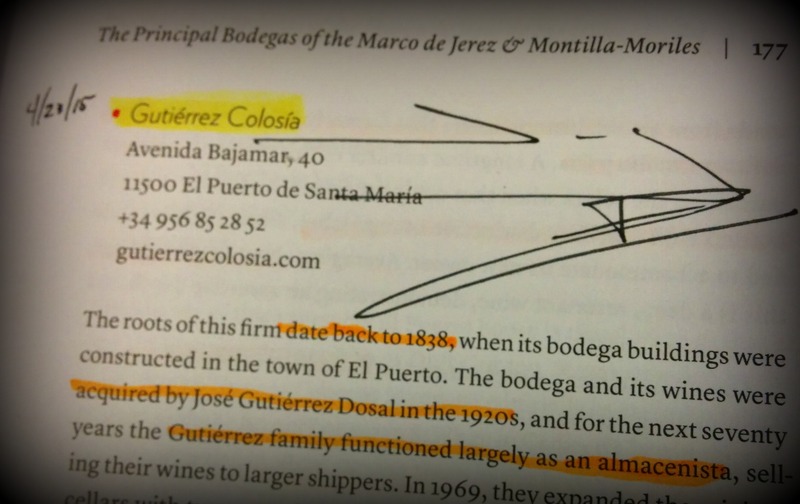 Carmen brought her husband Juan Carlos down from his meeting to sign my sherry bible. He took me by surprise by sitting down to take time to chat. Our chat quickly turned into an hour conversation! Our topics were not at all what I expected. We talked about religion and how he is not a religious man. We talked about wine and climate change. He was quite matter of fact that climate change isn’t anything he worries about; it’s not anything that will impact his wines in his lifetime. When I mentioned that I focus on sherry, because the wine world in general overwhelms me, he assured me that it is quite small when it comes to where grapes can actually grow to produce good wines. As we continued, Juan Carlos spoiled me with his bottles of VORS. 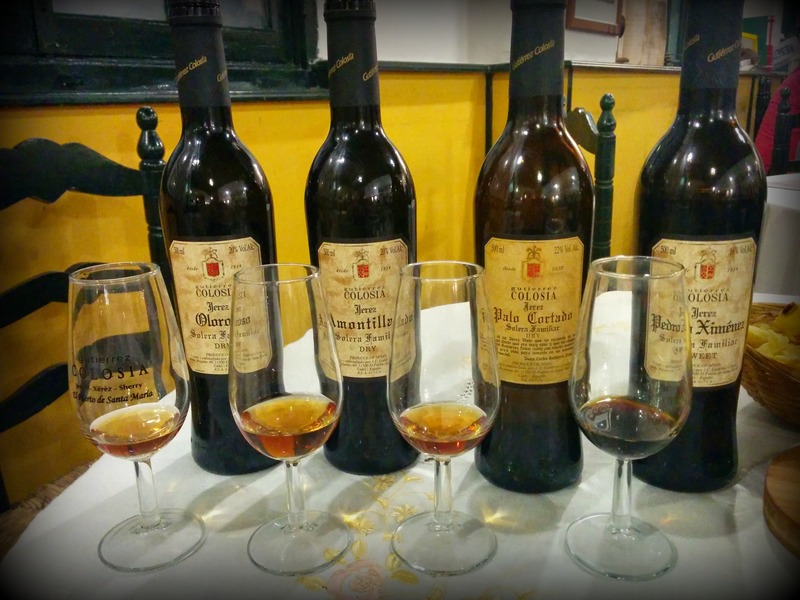 The Amontillado, Palo Cortado, Oloroso and PX. He had me drink the Oloroso first because it’s the youngest of the group. Mind blown!! At one point in our conversation, I mentioned whiskey and Carmen chimed in that my pronunciation was very Andalucian when I spoke. I was quite honored, not only by the complement, but also by how they treated me like a guest in their home despite all the other groups sitting right behind us. By the time we kissed our goodbyes, I had already spent three hours with this lovely couple! The entire visit to Gutiérrez Colosía went above and beyond my expectations. I cannot wait to go back!